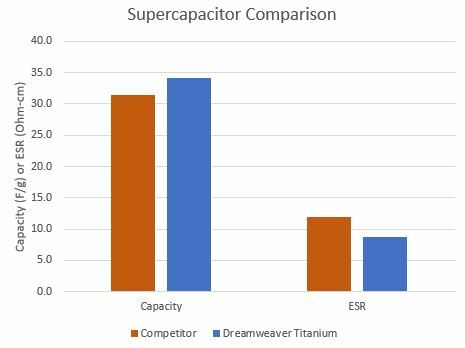 Supercapacitors demand high rate capability and low internal resistance above all else. Dreamweaver Titanium was designed to meet these needs. Blending nanofibers and microfibers at the right ratio to minimize resistance, and then setting thickness so that resistance is also minimized, a separator was born that both increased capacitance and decreased internal resistance.